Blog | Page 7 | DJL Accounting and Consulting Group, Inc.
All income is taxable unless a law specifically states that it isn’t. Taxable income includes money you earn, like wages and tips. It also includes bartering, an exchange of property or services. The fair market value of property or services received is normally taxable. ► Self-employment can include income you received for part-time work. This is in addition to income from your regular job. ► You must file a Schedule C, Profit or Loss from Business, or Schedule C-EZ, Net Profit from Business, with your Form 1040. You may use Schedule C-EZ if you had expenses less than $5,000 and meet certain other conditions. See the form instructions to find out if you can use the form. If we prepared your tax returns for you, we keep copies of all your documents, so you can simply request a copy of your return from us at any time. Tax Return Transcript. 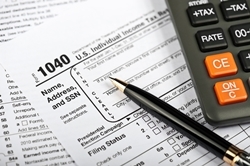 A return transcript shows most line items from your tax return just as you filed it. It also includes any forms and schedules you filed with your return. However, it does not reflect changes made to the return after you filed it. If you are applying for a mortgage, most mortgage companies require a tax return transcript and participate in our Income Verification Express Service program. If you are applying for financial aid, you can use the IRS Data Retrieval Tool on the FAFSA website to import your tax return information to your financial aid application. In both of these cases, you won’t have to request a transcript directly from the IRS.